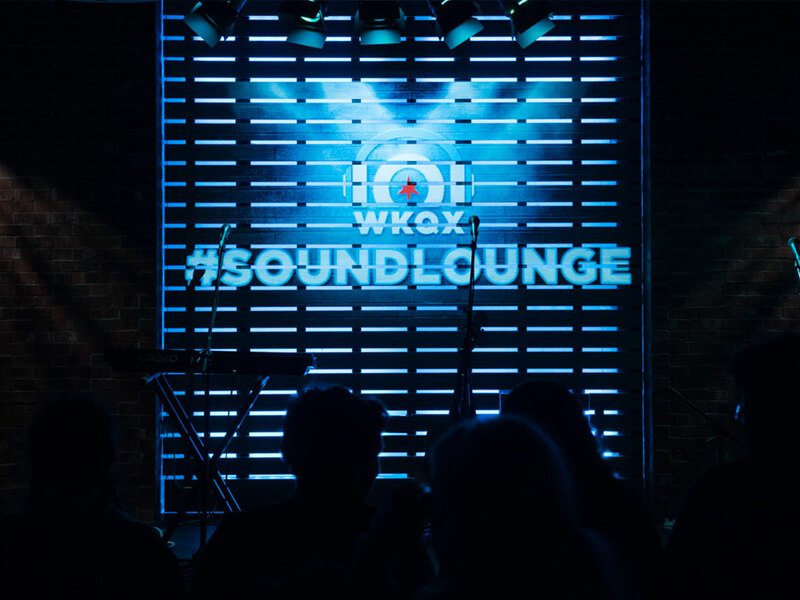 The Sound Lounge is Cumulus Chicago’s state-of-the-art performance studio, located at the NBC Tower. 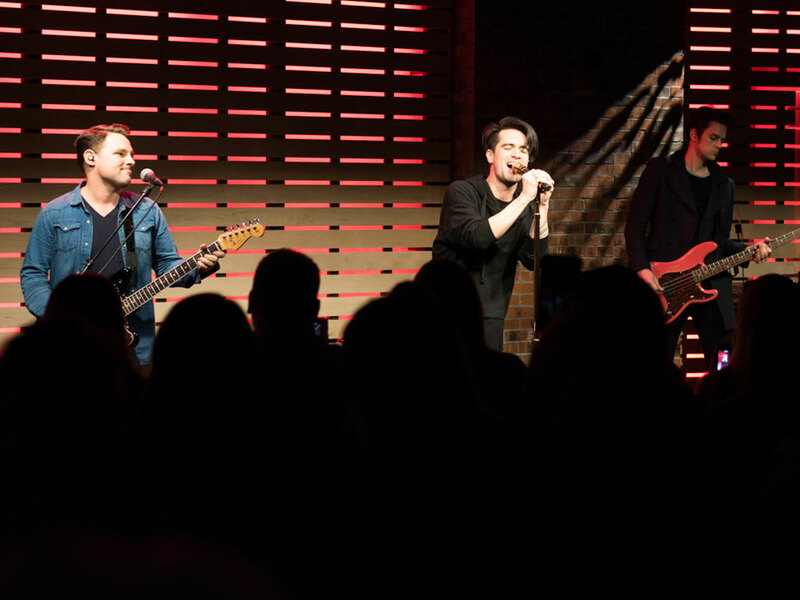 This small intimate studio puts our listeners within arms reach of the hottest bands in Alternative rock music – truly a rare opportunity for unforgettable performances and interviews. 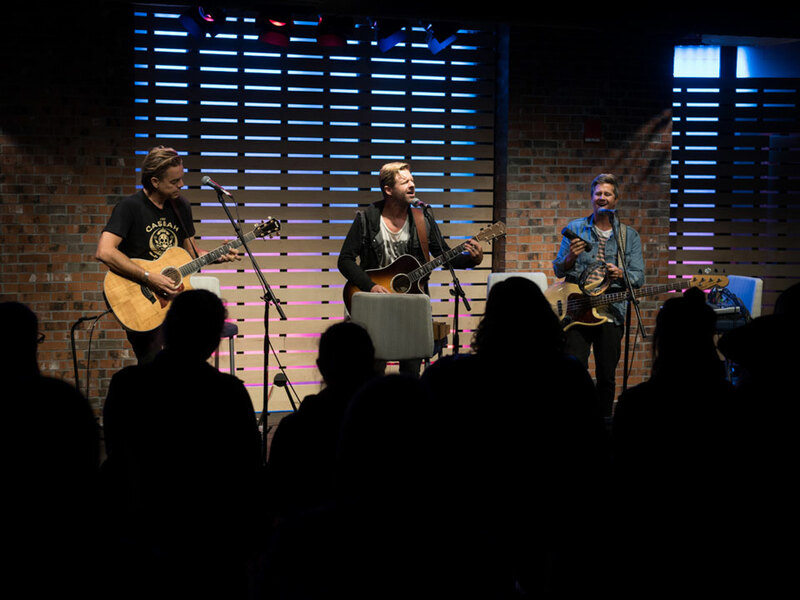 The Sound Lounge is equipped with a multi-camera production system, operated by three technicians, allowing us to capture/record each performance, and then extend these amazing experiences further on Facebook Live and YouTube. My department was tasked with developing all of the visual elements to support this whole program, from general branding and signage, to video capture and editing, to distribution of video content to social media and to our custom microsite. 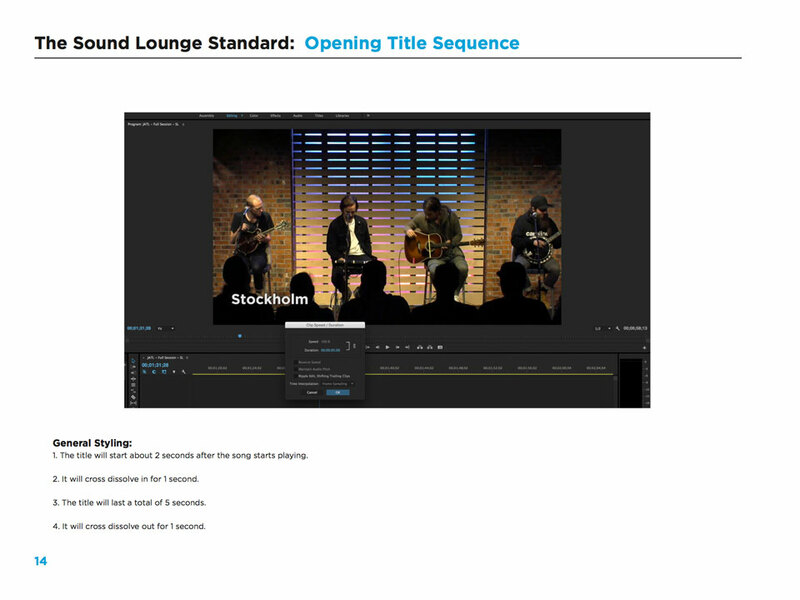 I oversaw the production of all of these elements for The Sound Lounge. I began by working with our graphic designer to create a simplistic logo, then I worked with our video team to identify a content strategy, as well as a series of standards to establish a particular look & feel for each video, as well as standards to establish how each video would be rolled out to social media, YouTube, and then to our custom microsite. 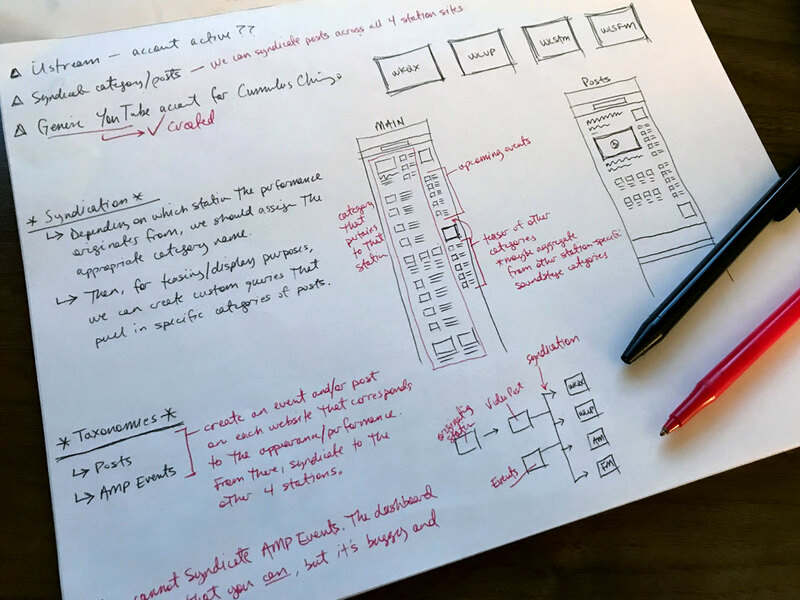 Once my team was set with all of their various objectives, I shifted my focus to the custom microsite (design, layout, UI/UX, development), and then determined a strategy that would enable a variety of behind-the-scenes people to generate web content efficiently. 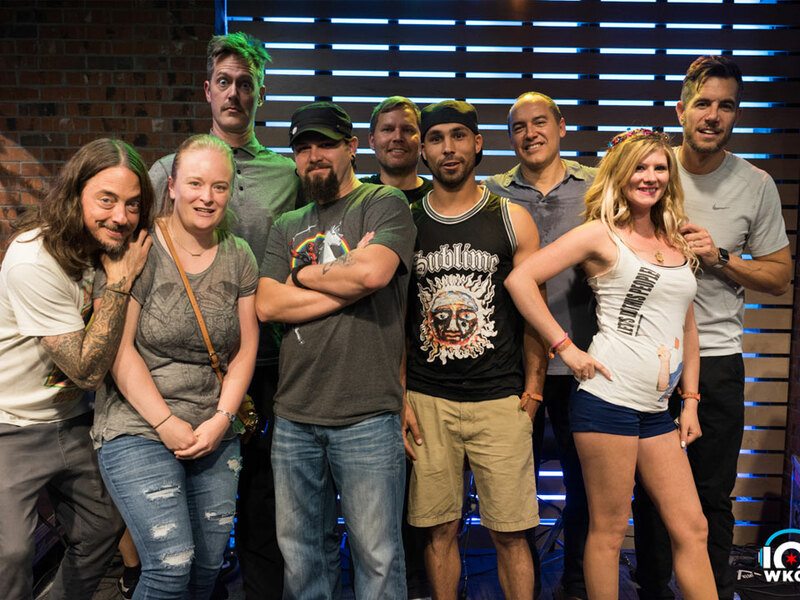 The Sound Lounge has truly been a team effort, from start to finish. 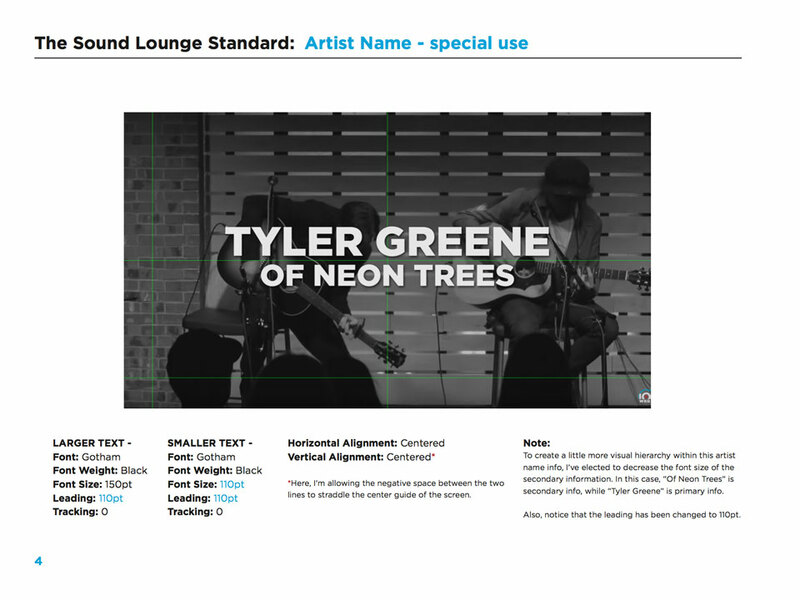 While our graphic designer worked on the logo for The Sound Lounge, I put together a Video Standards document for our video team, establishing cohesive use of fonts, font sizes, and the sequence of various elements. 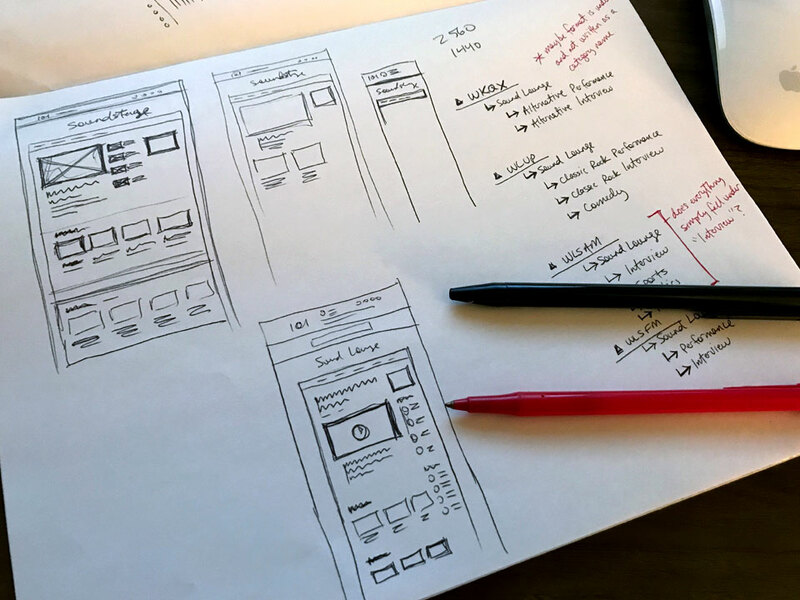 Once that was all set, I dove into wireframe sketches for the custom microsite. Here’s the logotype (and imagery) that our graphic designer created. Since The Sound Lounge is a shared space for all 4 of our Cumulus Chicago radio stations, we chose to keep the logotype’s aesthetic clean and simple so that it would translate nicely to each of our radio station formats. 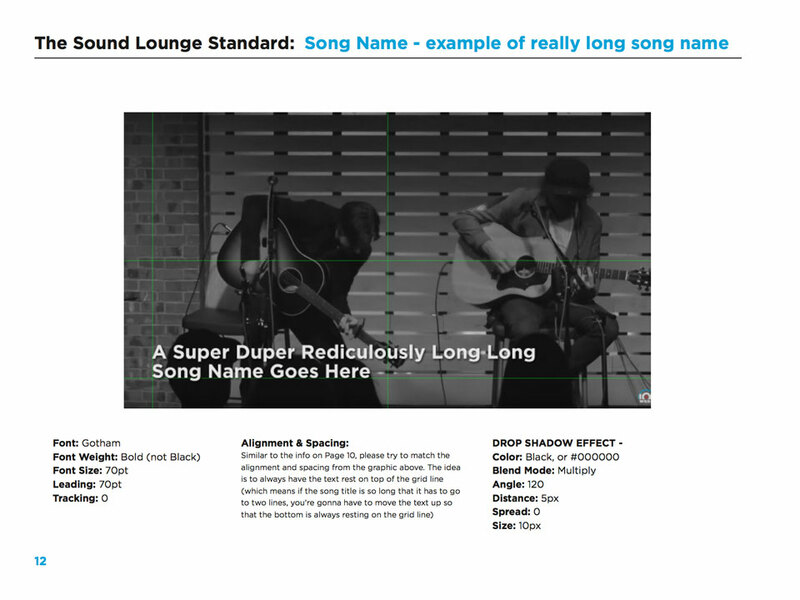 Here are some sample pages from the video standards document I created for my team. 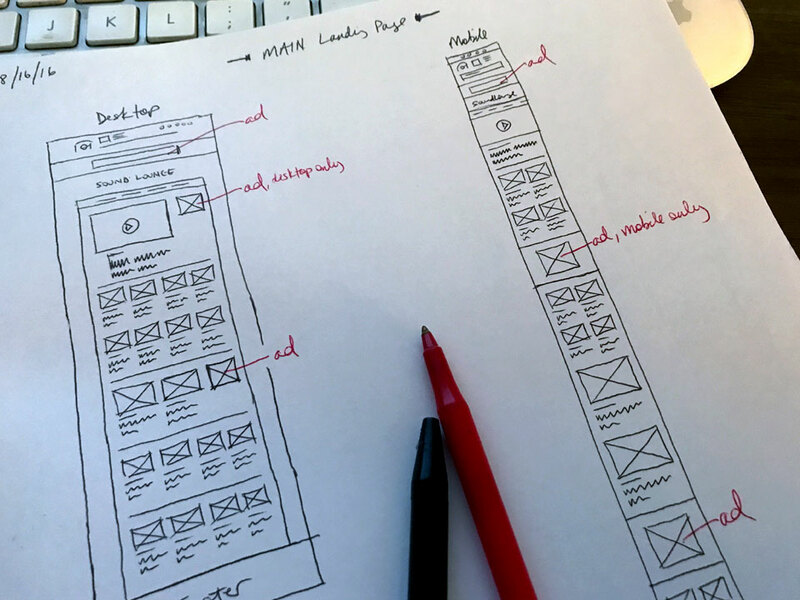 These loose wireframes demonstrate my early page layout ideas, as well as UI/UX ideas, and how all those items would translate on desktop and mobile. 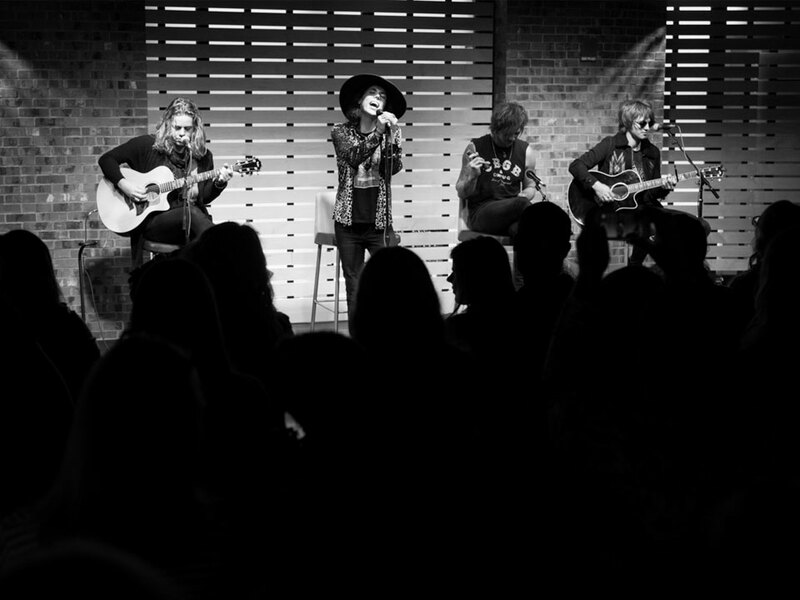 The sophisticated multi-camera production system in The Sound Lounge gives us the ability to capture the magic behind every one of these exclusive performances/interviews in its entirety, and it gives us the ability to share this amazing experience with our larger audience, in real-time, via Facebook Live. 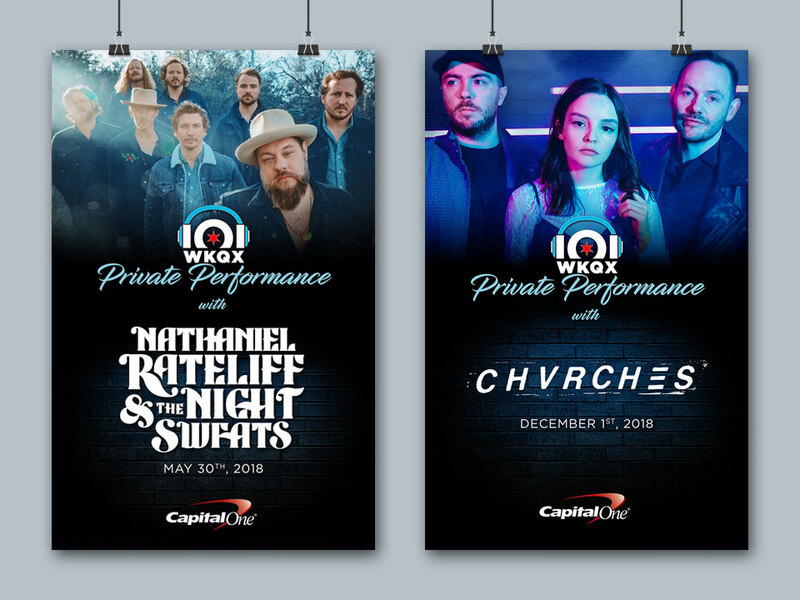 When the performance is finished, we edit each performance down to smaller individual videos that we can repurpose on our custom microsite, and then again on our social media accounts. 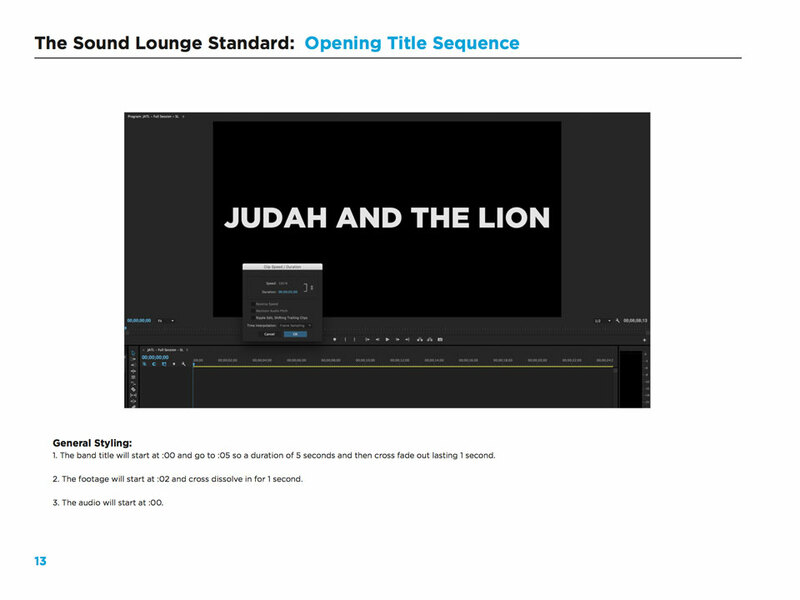 I should point out, that we’ve chosen to not include station branding within these finished/edited videos. Our long-term plan is to repurpose all of this video content across our other 3 radio station websites, so the finished videos need to be versatile and relatable, from one radio format to the next. Singing their hit song “Wish I Knew You”. Singing their hit “Take It All Back”. Here’s an interview Walt did with Silversun Pickups’ frontman Brian Aubert and bassist Nikki Monninger. 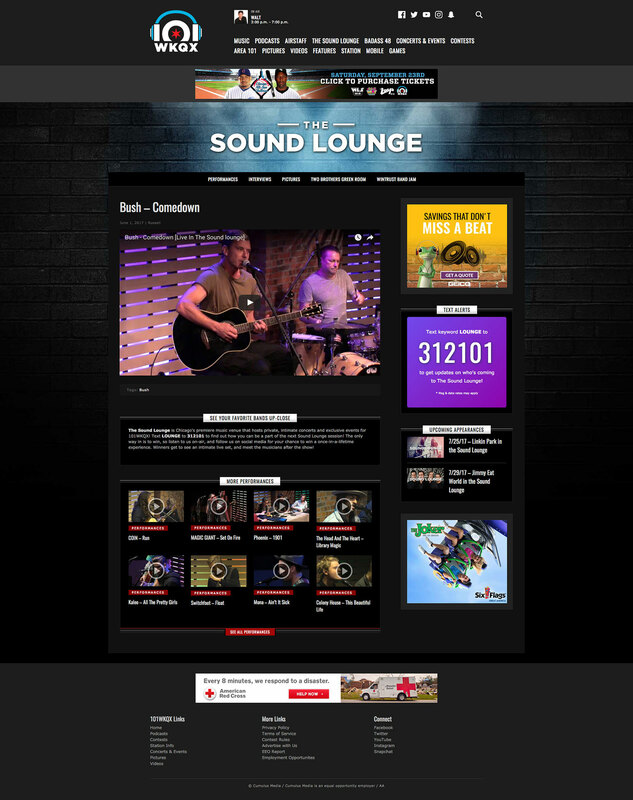 The Sound Lounge website is the main destination that users can visit to see the wide variety of performances and interviews. I created a sub-navigation that allows users to quickly skip from category to category, depending on their interests. 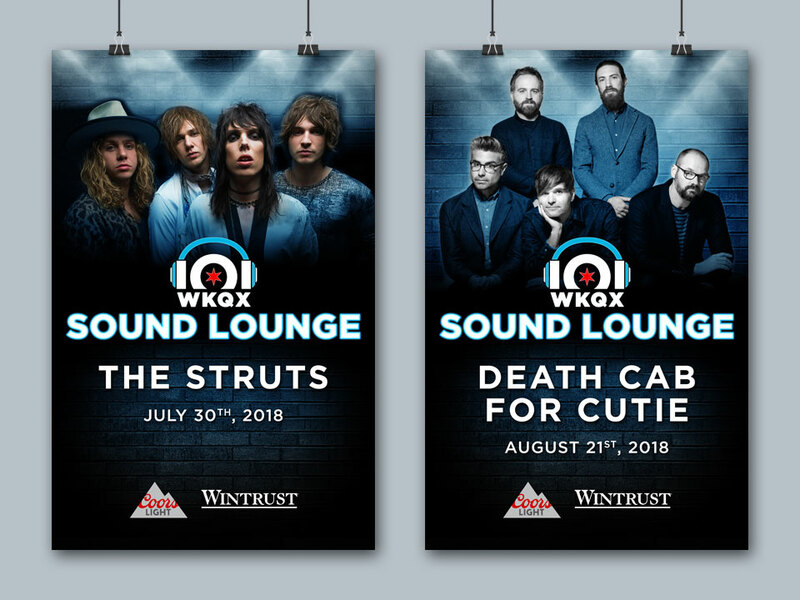 Currently, we have only built a Sound Lounge “microsite” on the 101WKQX platform, but the idea is that our 3 other radio stations would house a similar “microsite” for The Sound Lounge, presenting the exact same robust content and layout. 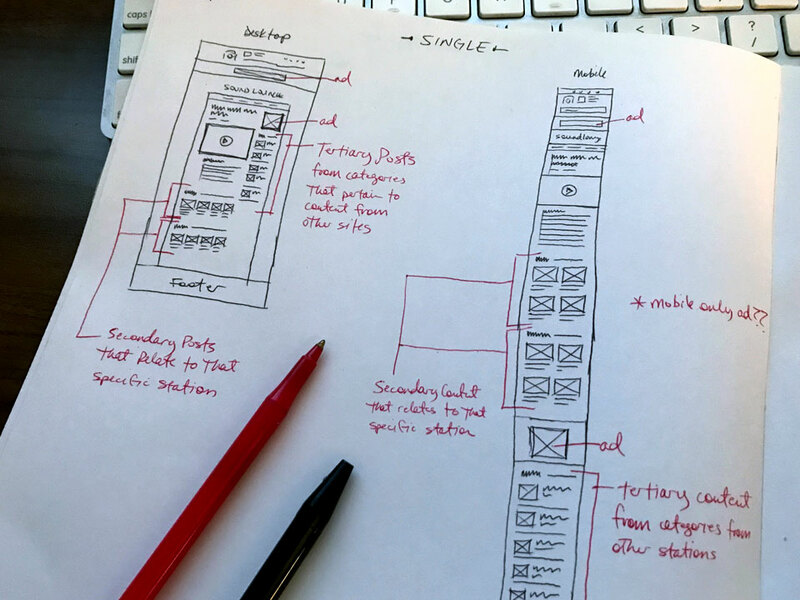 Our CMS allows us to syndicate posts across all 4 station websites, which saves us a lot of time in deployment. 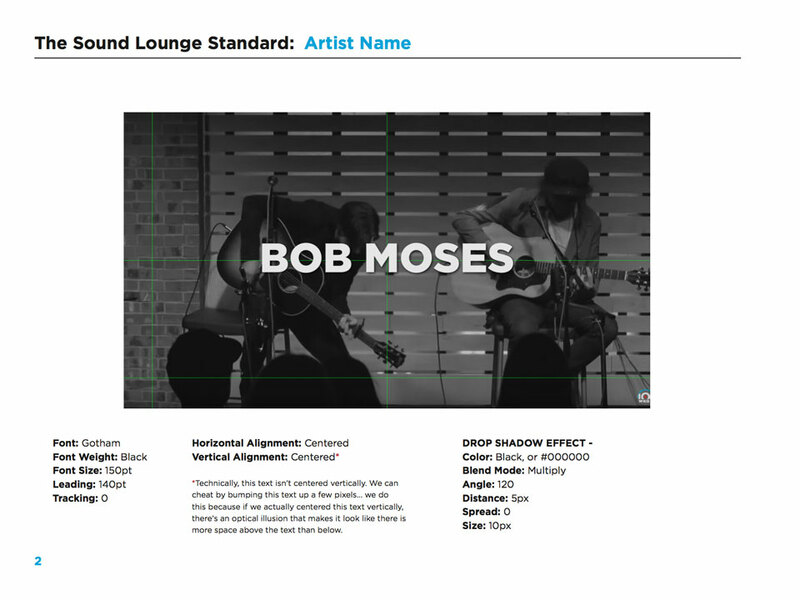 For additional functionality, we built a custom tag cloud that scrapes the website, looking for artist tags within the category for The Sound Lounge… this allows users to see all of The Sound Lounge posts for any one artist. 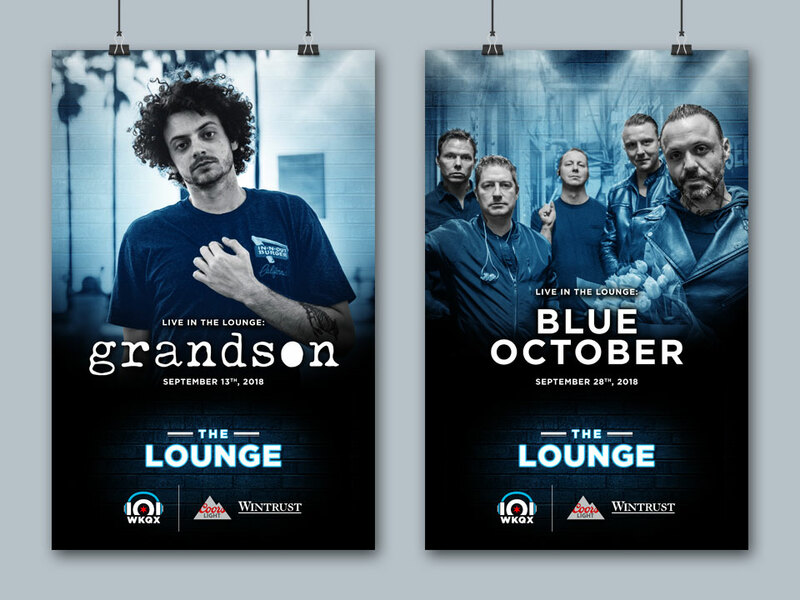 To commemorate each artist’s appearance within our performance studio, we’ve designed custom 11″ x 17″ posters to be signed by the band, and then handed to a handful of lucky winners for them to keep. 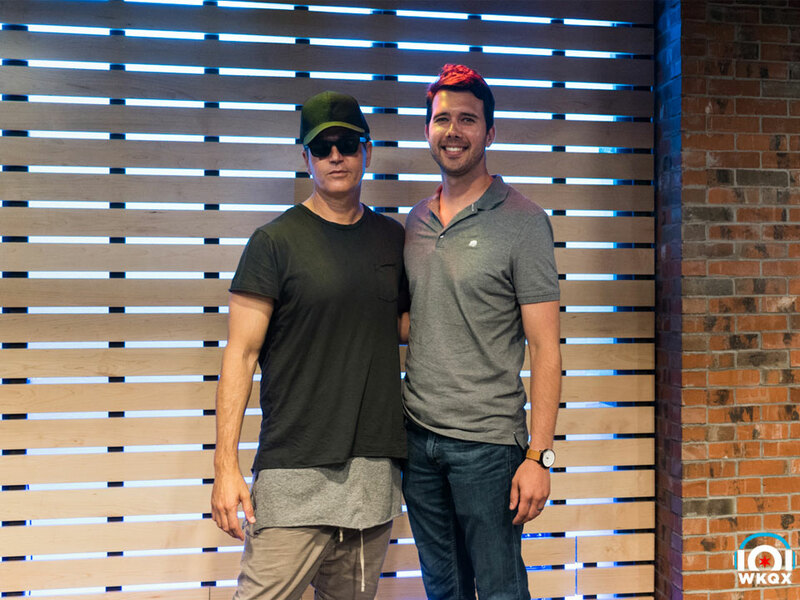 What started out as an obligation for a Coors Light sponsorship has turned into a pretty impressive series that showcases the numberous talented artists who’ve played our performance studio. My team and I have helped sculpt the visual component that strengthens this unique opportunity. 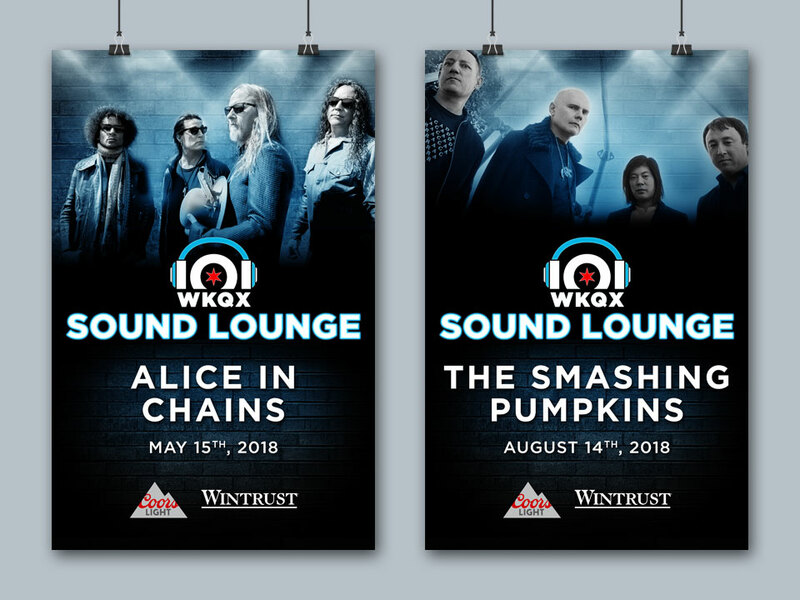 As more bands come through the studio on a weekly basis, some of which are very well known bands, The Sound Lounge experience continues to gain in popularity. The YouTube playlist is growing, pageviews on the website are beginning to take off, engagement is high (on Social, and in contesting). The Sound Lounge is definitely one of those experiences that make me proud to be a part of the radio industry. Here’s a tiny sample of what The Sound Lounge experience is all about.